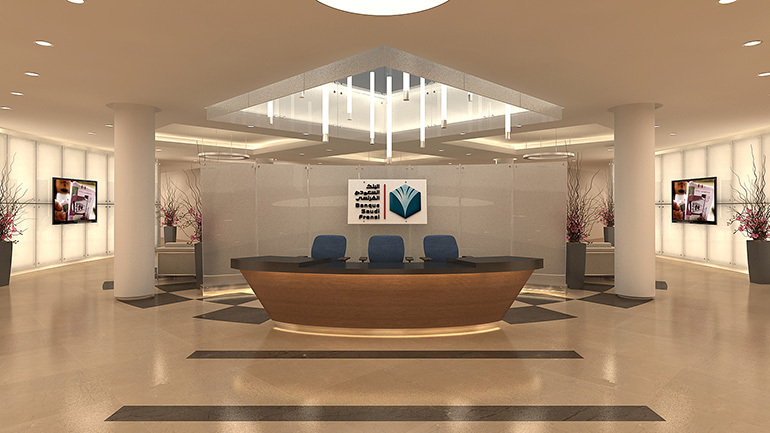 The Banque Saudi Fransi, an affiliate of Crédit Agricole group, the second largest bank in France, appointed us to renovate their existing headquarters in Riyadh. The assignment was to create a new visual identity for the bank realizable in relatively short time frame. 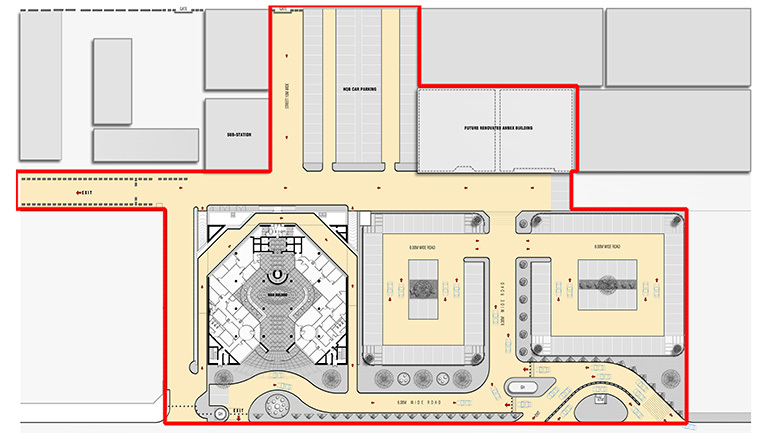 The project entailed a creation of a unified campus around the 10-story original headquarters, two annex buildings and two empty lots. 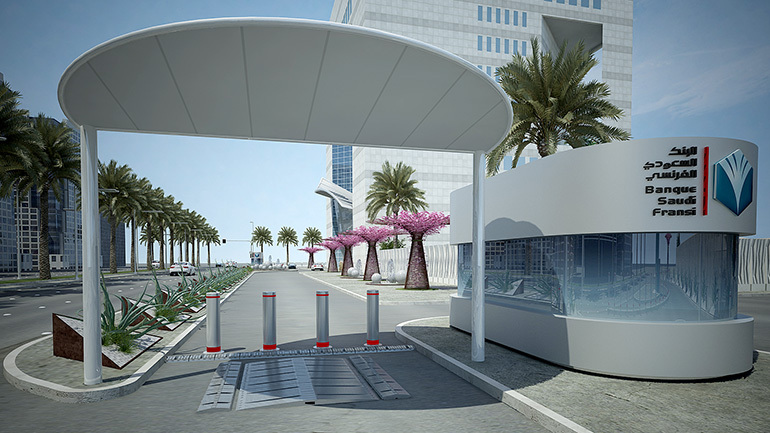 The resulted new campus is designed with security boundaries and a linear urban park with a double-gated entrance from the main street allowing for the direct VIP access to the headquarters. The key architectural element of the project is the new entrance block of the headquarters conceived as a concave glass form to be inserted into the prismatic façade of the existing building. 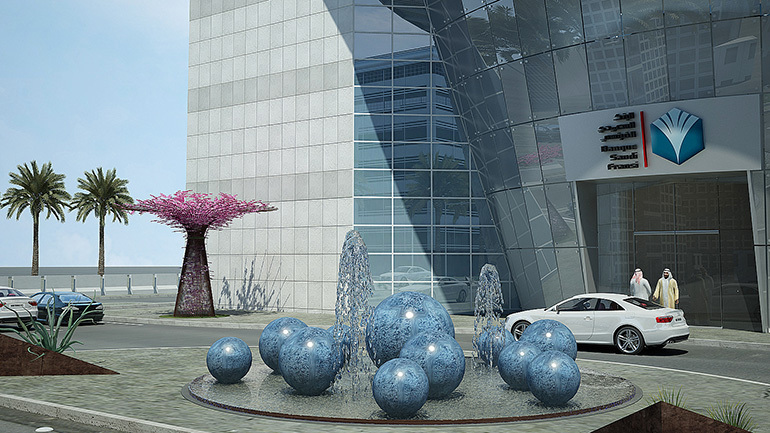 Aiming to mediate users’ exterior-interior transition, the new entrance block also forecasts the quality of the interior re-design: the overwhelming focus on the communicative experience of the public spaces starting with the main entrance and carried through to the main lobby, elevator lobbies and all other secondary lobbies. 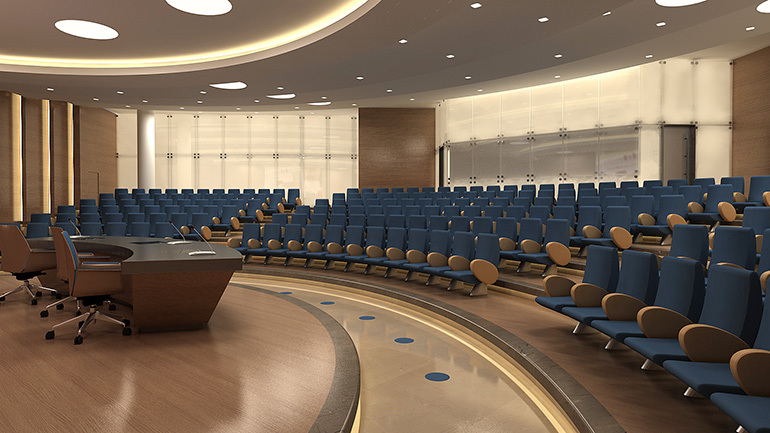 The re-design also includes the VIP facilities where guests are received such as management offices, board meeting and tele-presence meeting rooms, crises room, dinning room and auditorium all located on the 7th and 8th floors. Our design approach to the interior is to emphasize light, openness and spatial continuity, while fulfilling the project’s functional objectives. Whenever possible we use transparent glass to maximize perceptual continuity of space. In other areas, a combination of backlit and sandblast glass dematerializes heaviness of the walls. 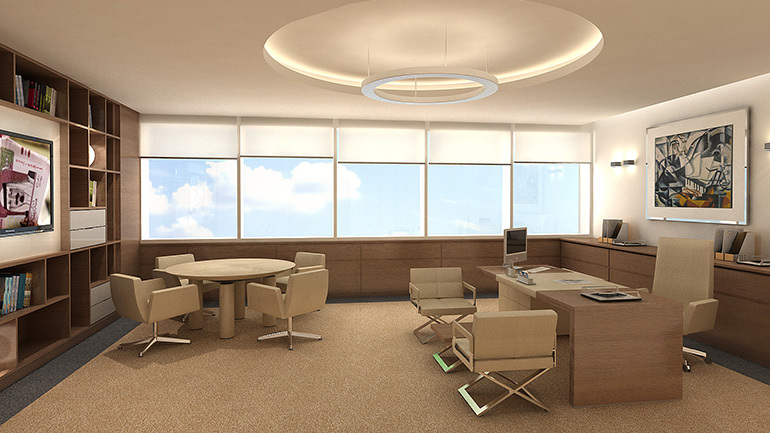 Similar effect is achieved on the ceilings through the use of large round and rectangular frameless lighting fixtures combined with indirect lighting. Overall lighting program and wood—as paneling and furniture—further identify specific spaces.